At Christmas we remember how the wise men were guided by a star to the place where Jesus was born. As they set out, they trusted that the star would lead them to the new-born king, but getting closer they diverted to a royal palace - surely the place fro a royal birth? They were wrong, Jesus was to be found among the ordinary people, they had to adjust their expectations and keep trusting the star to lead them. 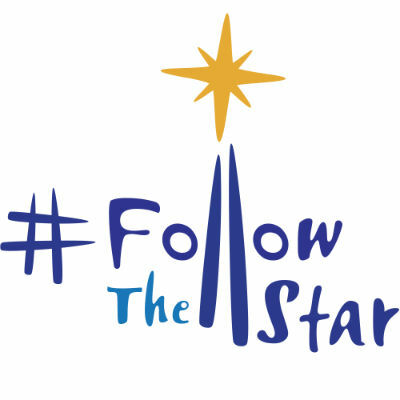 We invite you to celebrate Christmas with us, to follow the star and discover Jesus, the same yesterday, today and forever. At the Carol Service and Crib Services we will be taking collections for the Winter Nightshelter - helping those who find themselves homeless during the coldest nights of the year by providing a hot dinner, a warm, dry and safe bed for the night and a filling breakfast. A candlelit service of music and readings, with favourite Christmas carols, celebrating the gift of the Christ child. Followed by mulled wine and mince pies. A children's nativity service - especially for pre-school children. Come dressed as a shepherd, angel, or king. Bring gifts to put under the tree for children helped by Christian Care Merton. A children's nativity service - especially for school age children. Come dressed as a shepherd, angel, or king. Bring gifts to put under the tree for children helped by Christian Care Merton. The traditional beginning of Christmas Day, peaceful and atmospheric. A colourful, festive service for all-ages - with carols and children's procession. Please Note: There will also be our regular Sunday Parish Eucharist at 10.00am every Sunday.